In the majority of homes it is common to find framed photographs of family members or friends placed in strategic positions, so that the can easily be seen by the people that live in the house and by possible visitors. But this way to show our loved ones and our best moments will soon be a part of the past thanks to digital frames. Digital frames offer several advantages compared to traditional frames like, for example, their greater versatility. 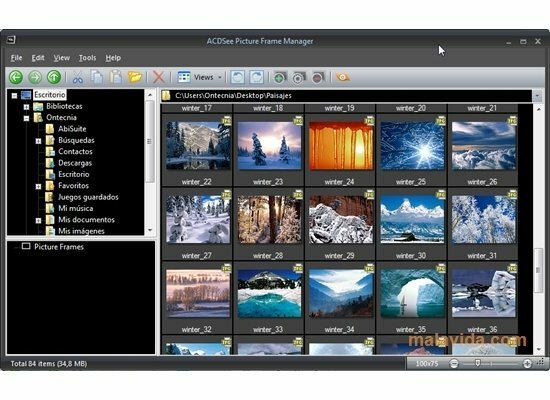 To make the most of a digital frame you can use ACDSee Picture Frame Manager, an application that has been developed for all digital photography enthusiasts. 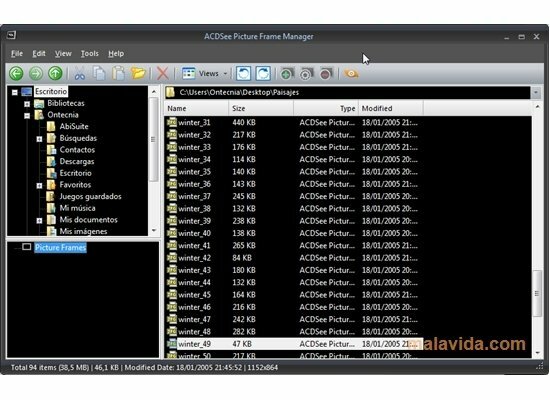 ACDSee Picture Frame Manager is an image manager that optimizes the process of adapting your photos to the digital frame's size, allowing you to put up to 10 times more images in a frame. But, furthermore, this program offers us another significant advantage in comparison with similar applications: how easy it is to use. 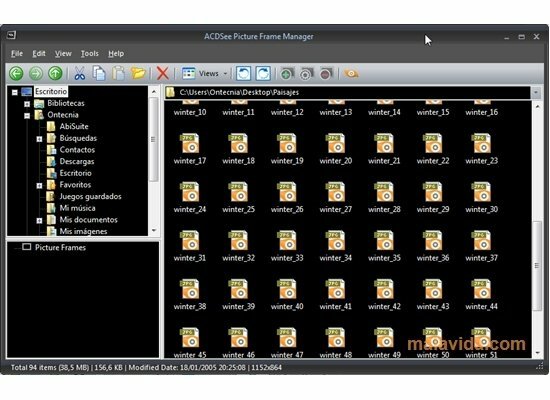 Thanks to the “Drag&Drop” technique we will be able to move or eliminate photos on any digital device, no matter if it is a frame or a USB memory stick. You can try the application for 30 days by asking for an unblocking code after you install it, if you don't, you will only be able to use it for 7 days. 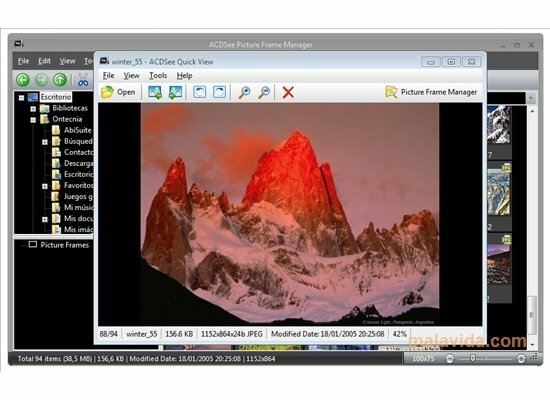 To make the most of this application you must connect a digital frame to your PC.